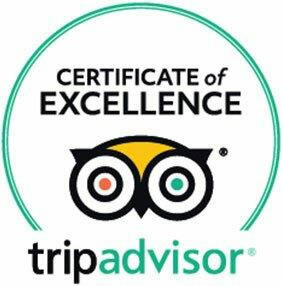 located in the centre of the establishment, invites you to relax away and enjoy your holidays. 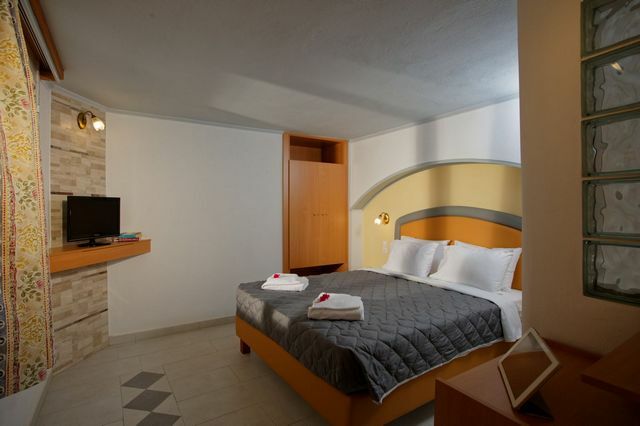 Studios and Apartments is fully equipped, located next to the hotel, promise to accommodate your most demanding wishes. to accommodate your most demanding wishes. 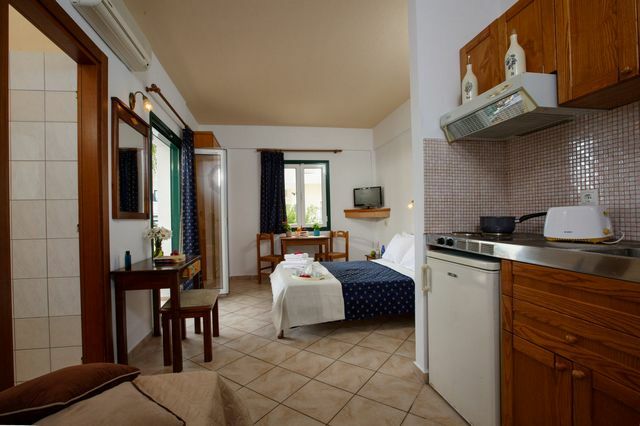 The Studios offer a twin or a double bed and have a balcony with views to the garden, pool or mountain. Their balcony offers views to the garden, pool or mountain. 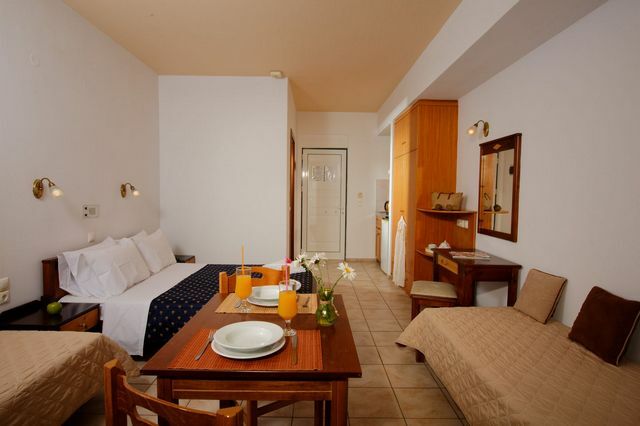 A seating area, a kitchenette and a TV as well as Free WiFi is offered for all rooms and apartments. 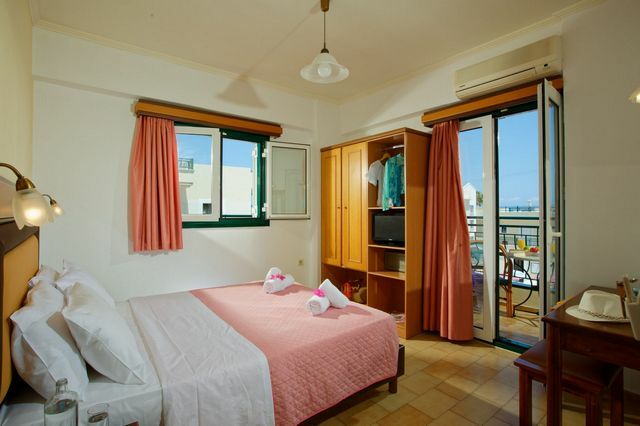 The Studios offer 2 bedrooms, one with one double bed and the other with 2 single beds. The balcony enjoys views to the garden, pool or mountain. 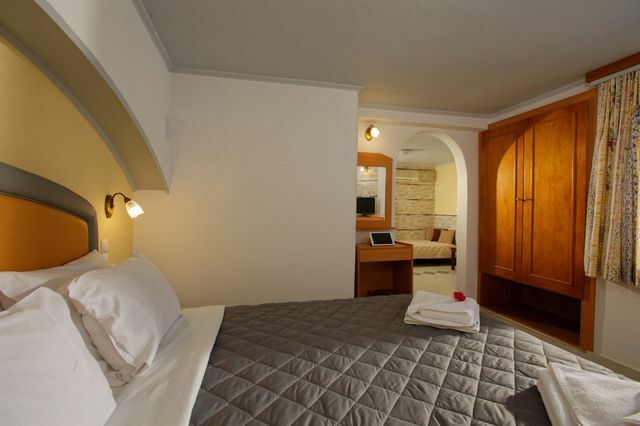 The Studios offer 2 single beds and a double bed and have a balcony with views to the garden, pool or mountain. and through the beautiful garden, visitors reach the sandy beach and the Beach Bar. The restaurant and the Beach Bar offer food and drinks all day long. 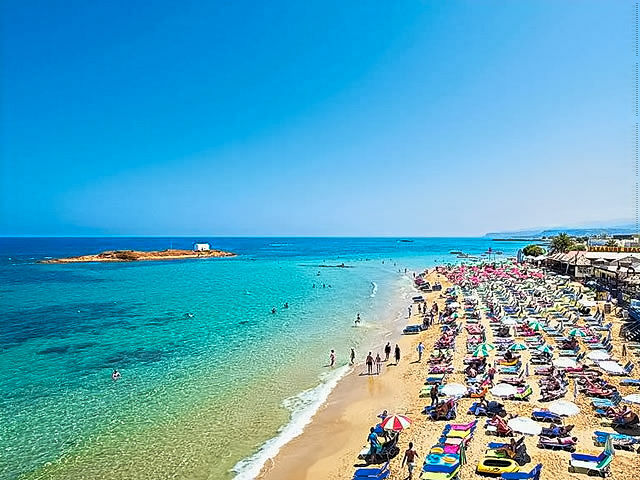 making transfers blissfully short, its small town atmosphere, great beaches nearby and the traditional Cretan charm and hospitality. 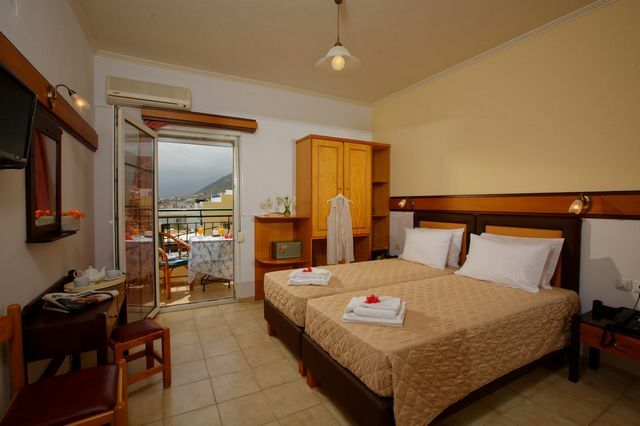 located only 32km from Heraklion Airport Nikos Kazantzakis, perfect choice for traveling or visiting Crete. 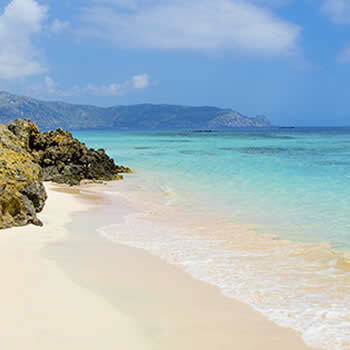 Discover amazing beaches to relax., around the most famous tourist resorts in North Coast Crete. 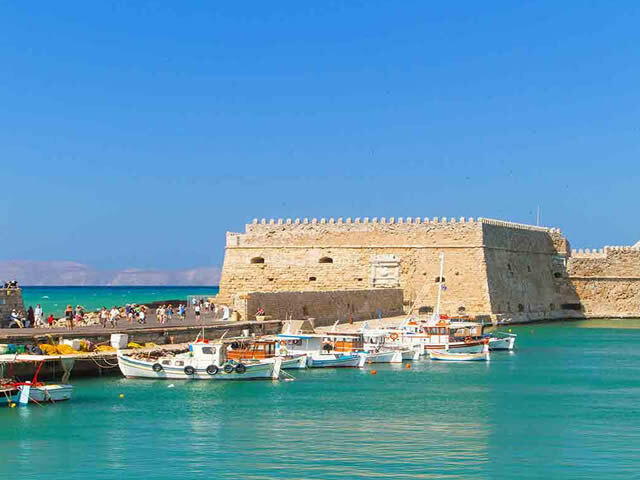 The cosmopolitan Hersonissos, Malia, Agios Nikolaos, Elounda, the historical Heraklion, all in a close distance. of what Panorama Hotel and Apartments has to offer for you.